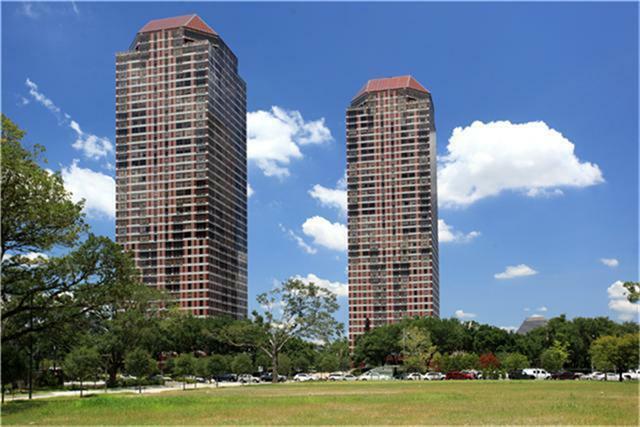 Leslie Lerner Properties announces their new Four Leaf Towers real estate listing at 5110 San Felipe St., Unit 284. This 28th floor unit is incredibly spacious, has 2 bedrooms (2, 690 sf per HCAD) and wonderful views of the city. This is a great opportunity to renovate and make this the home of your dreams. The unit has great entertaining space with spacious living and dining areas, marble/tile flooring, a wet bar and floor to ceiling windows. There is a wonderfully large master suite, with a great amount of built-ins and storage, a large bath with a tub and shower and generous closet space. The additional bedroom has a private bath and beautiful views. The unit has a fire sprinkler system installed. Great building with 24 hour concierge, valet, porter, a beautiful pool and grounds, party room and fitness center. The building is close to 610, I-10, the Galleria, restaurants and more.